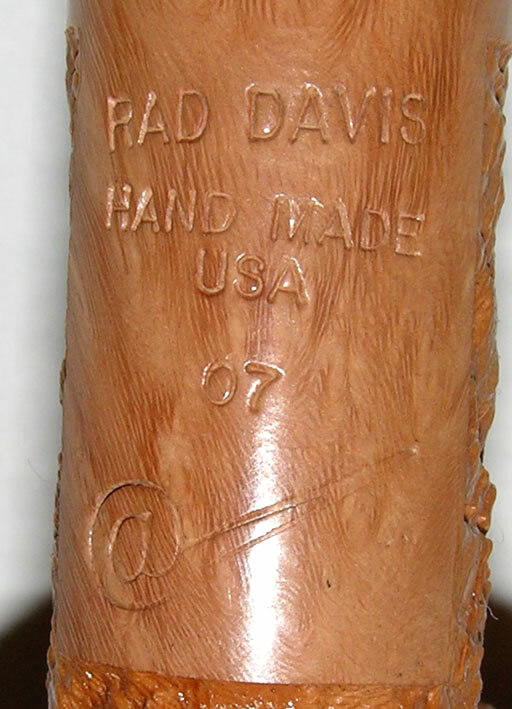 Rad Davis carves some incredible pipes. 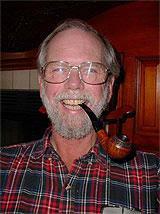 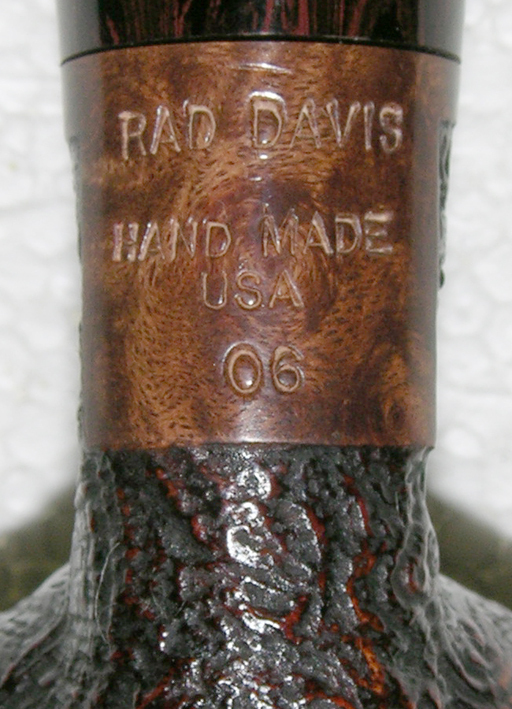 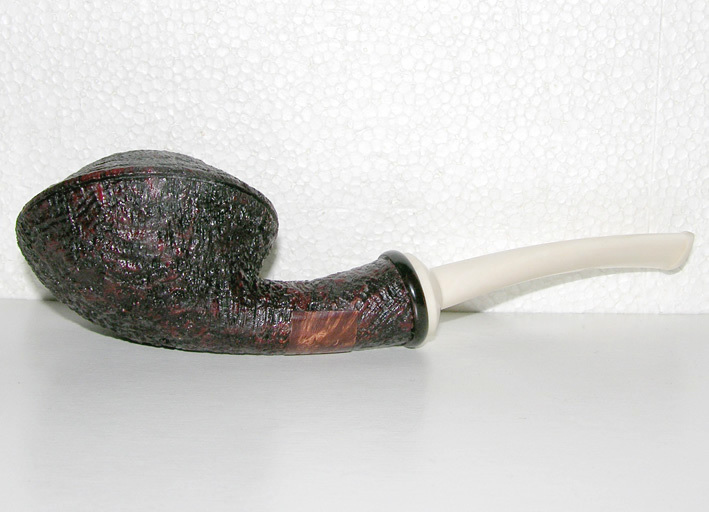 Using only the finest Grecian Plateau Briar available, every Rad Davis pipe exhibits exceptional quality on par with the many of the finest, well-known pipemakers today. 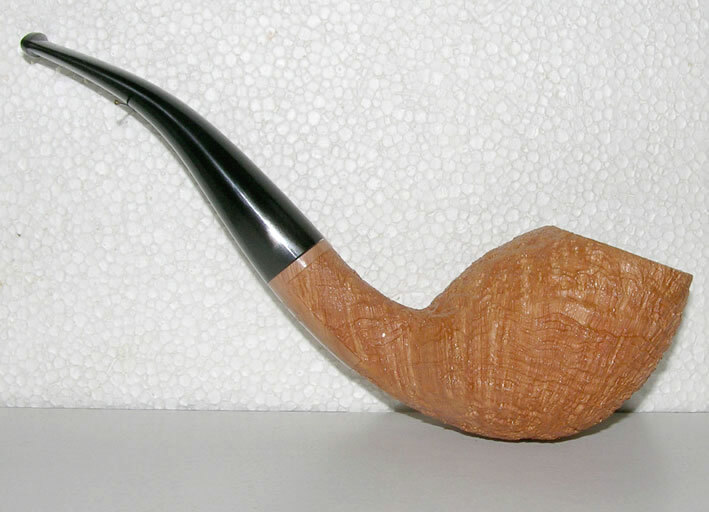 The hand cut stems are very comfortable, the shapes are graceful and flowing and quite frankly, the pipes are absolutely gorgeous. 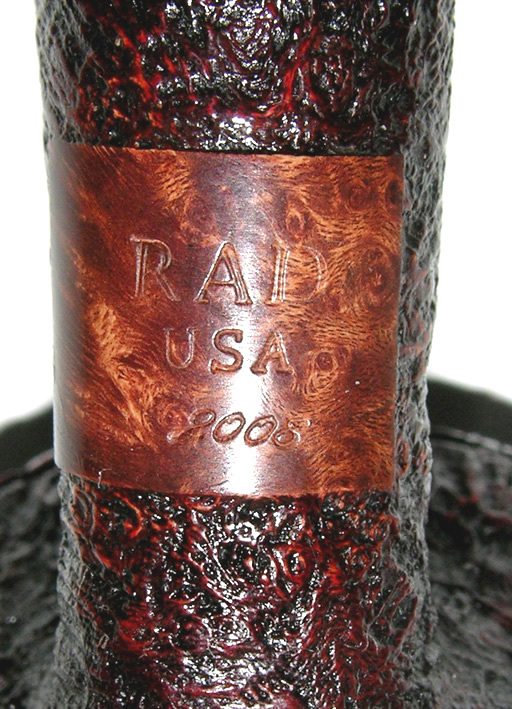 Rad really does this shape well. 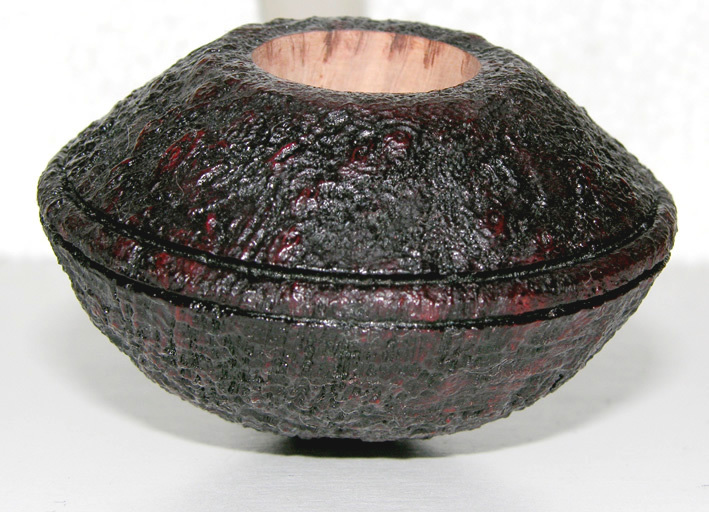 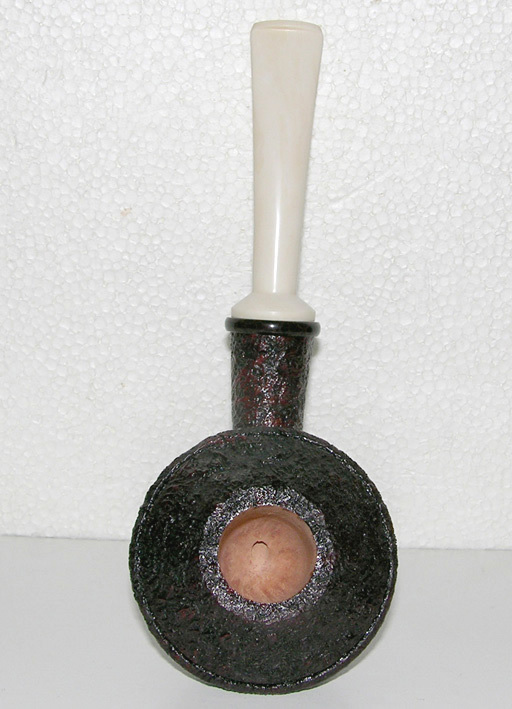 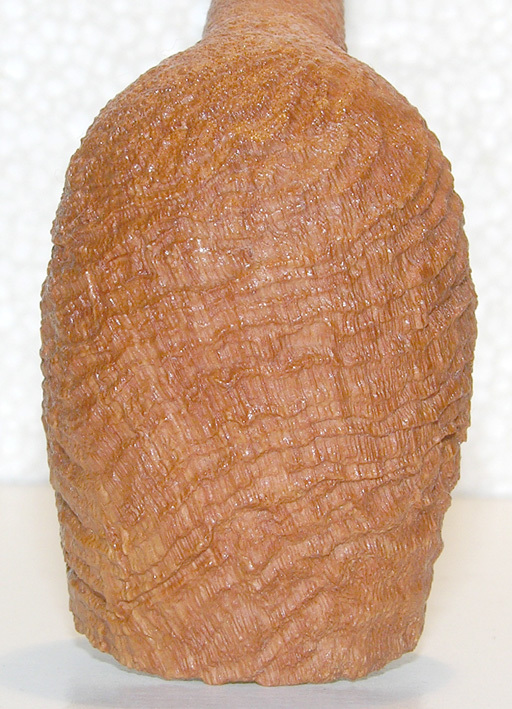 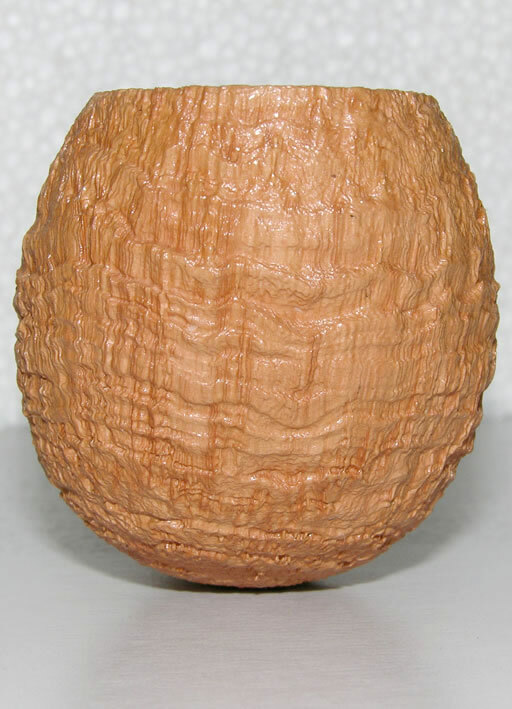 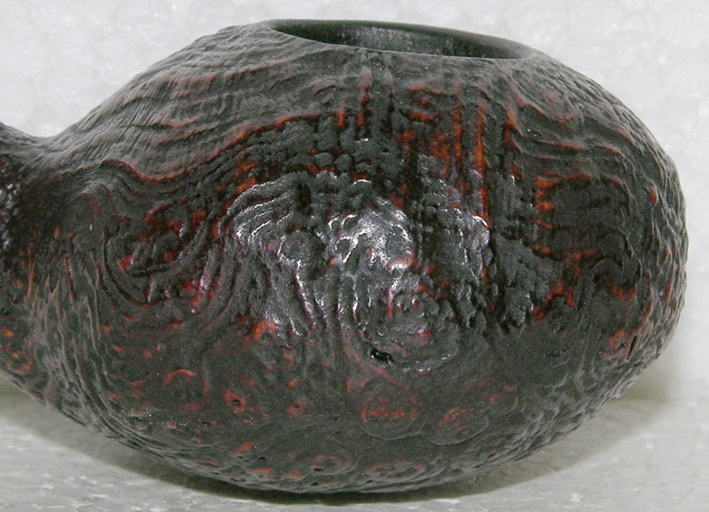 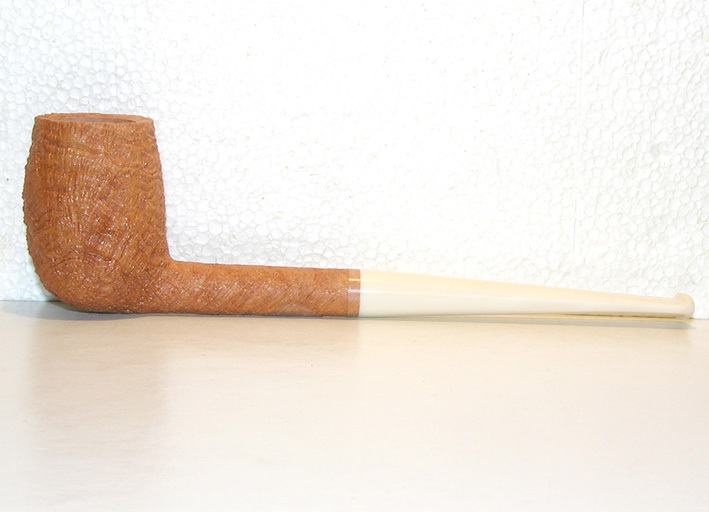 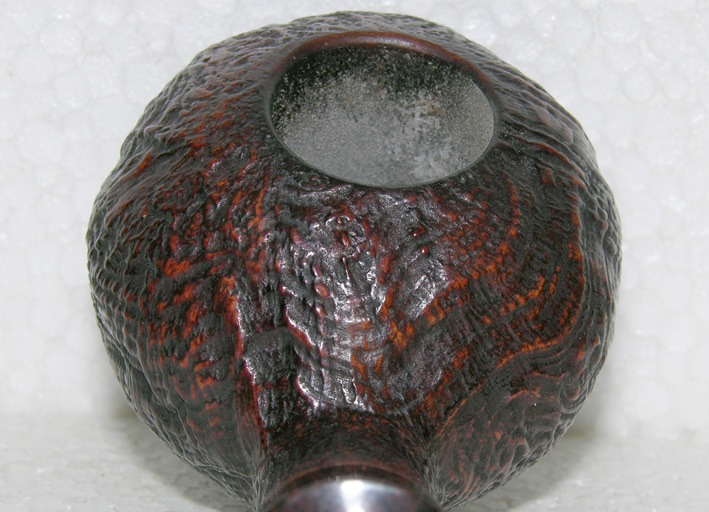 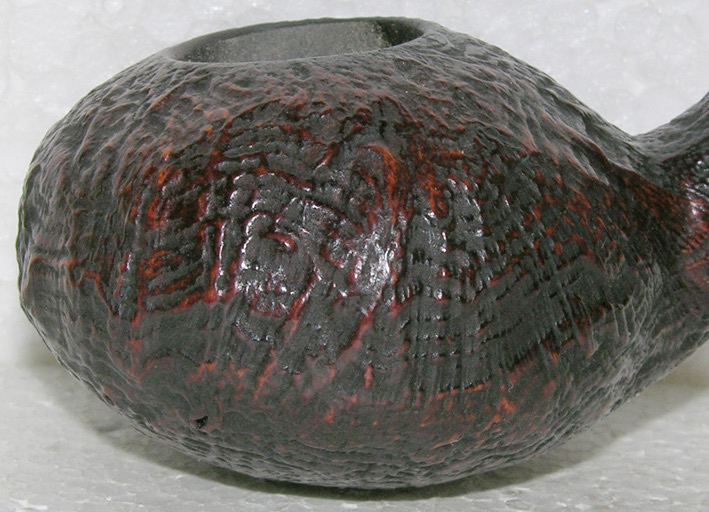 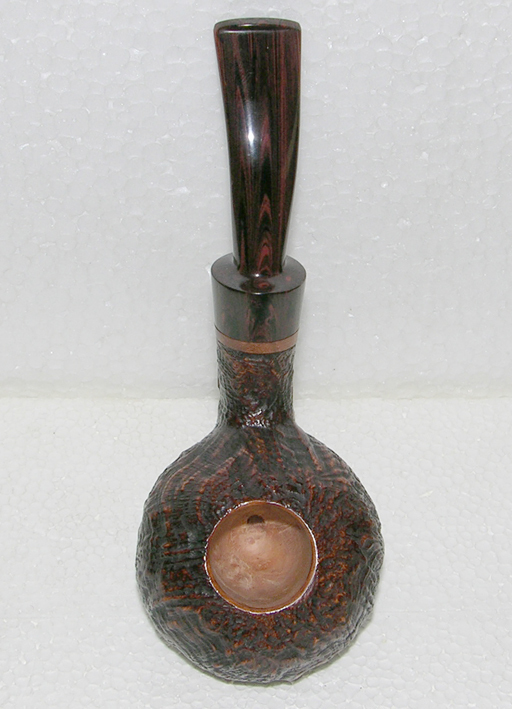 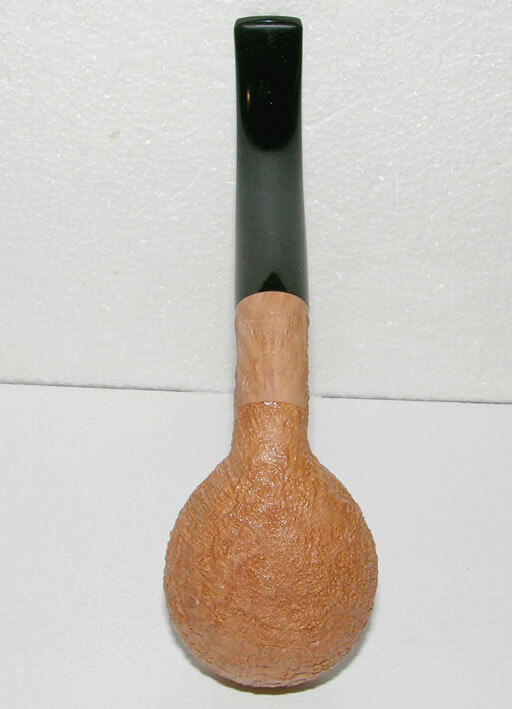 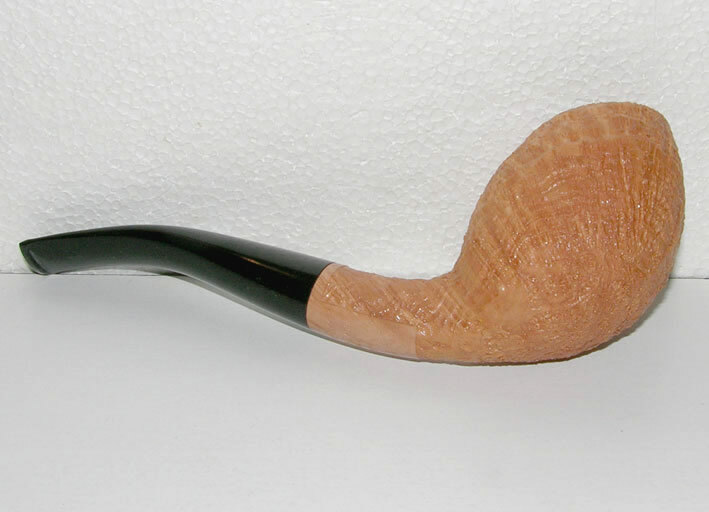 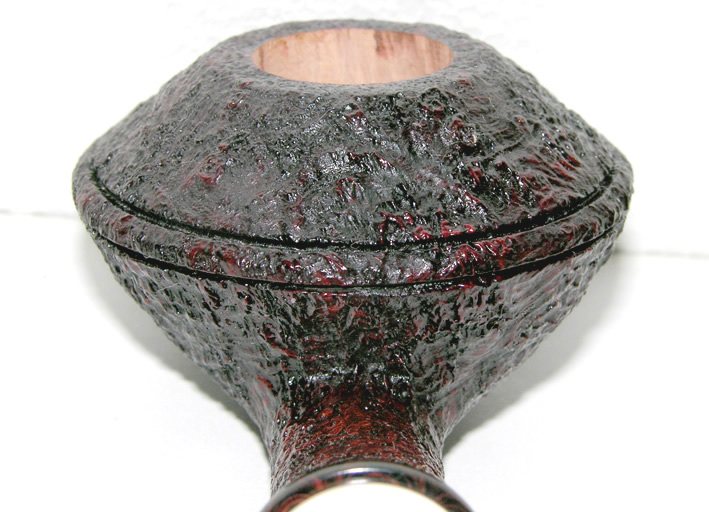 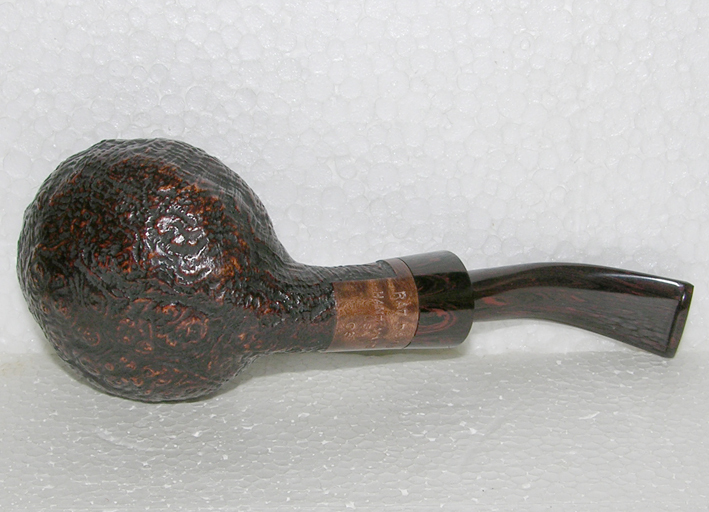 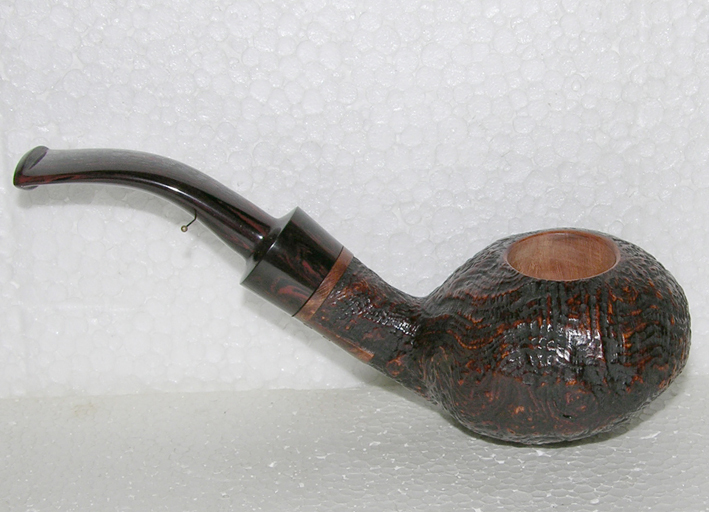 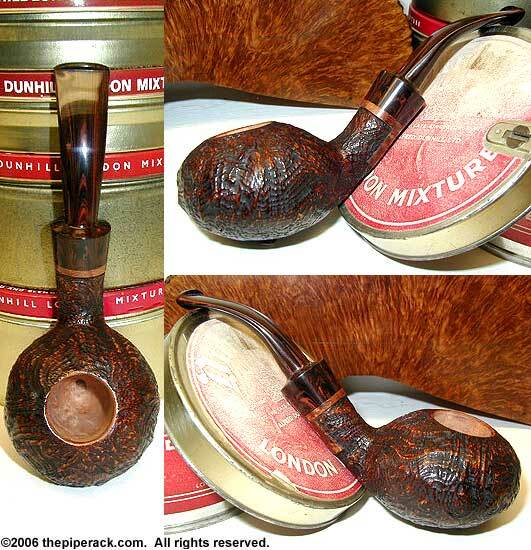 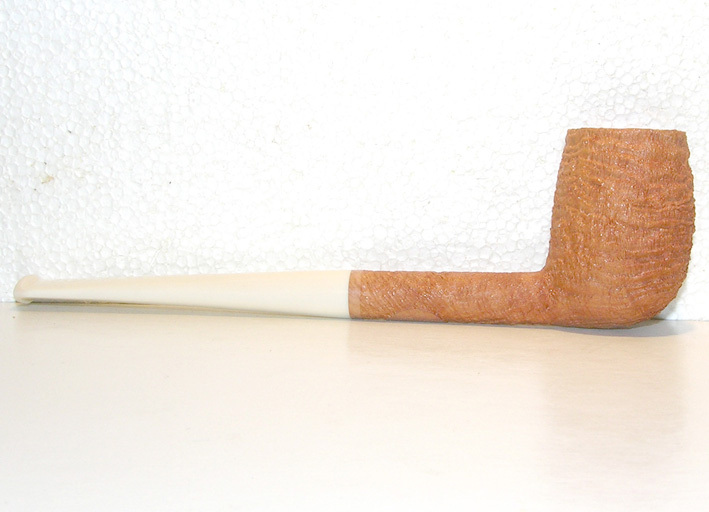 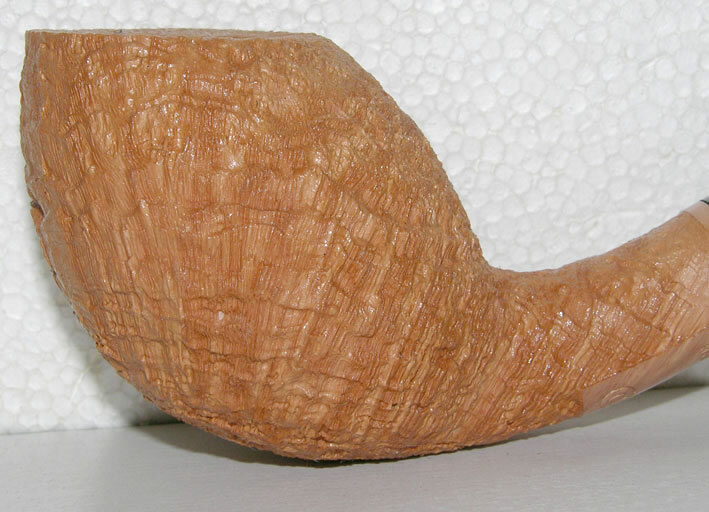 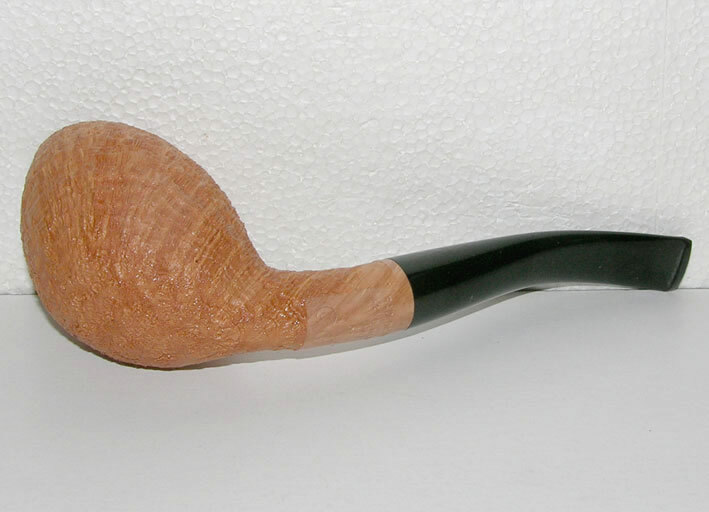 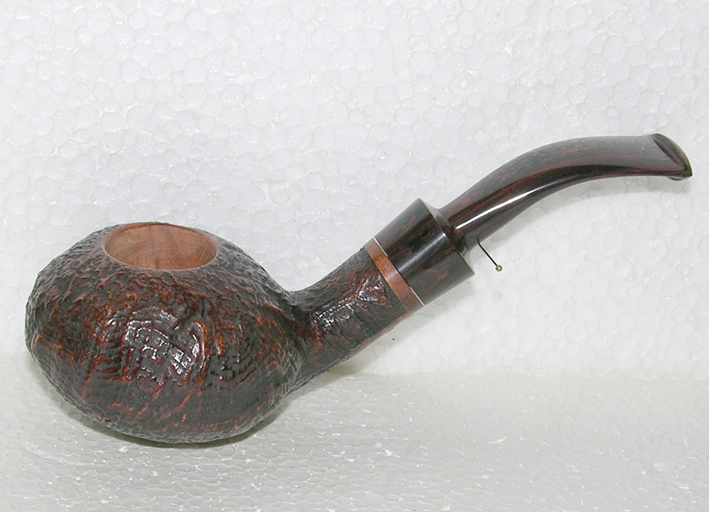 This particular unsmoked piece is a bent “squashed” tomato with a dark Mahogany stain. 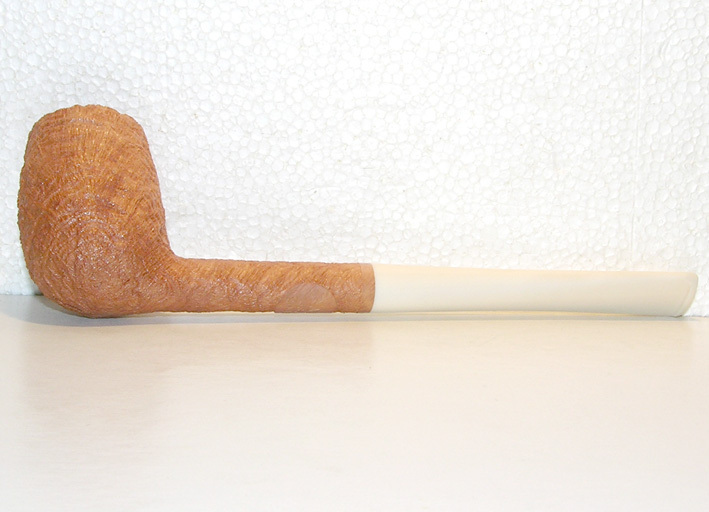 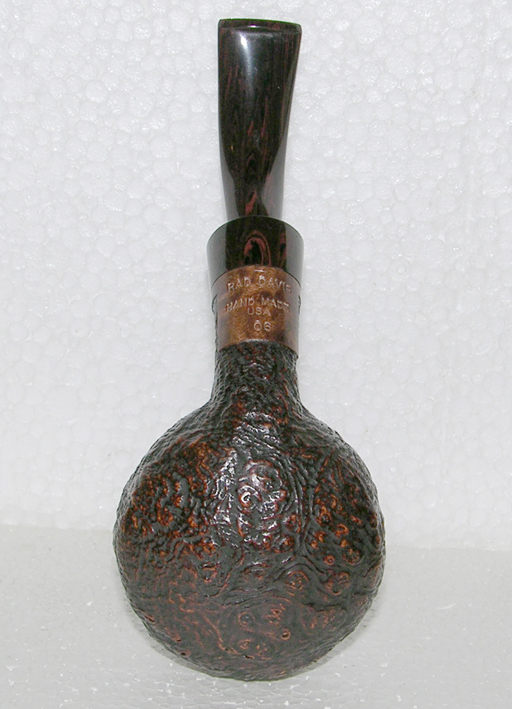 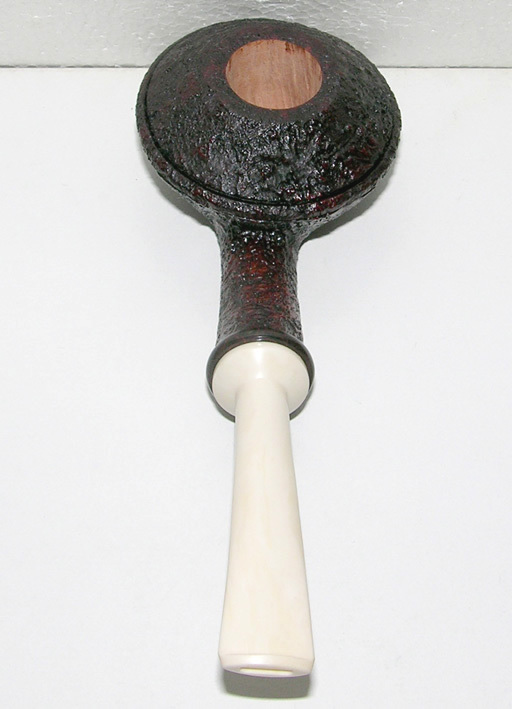 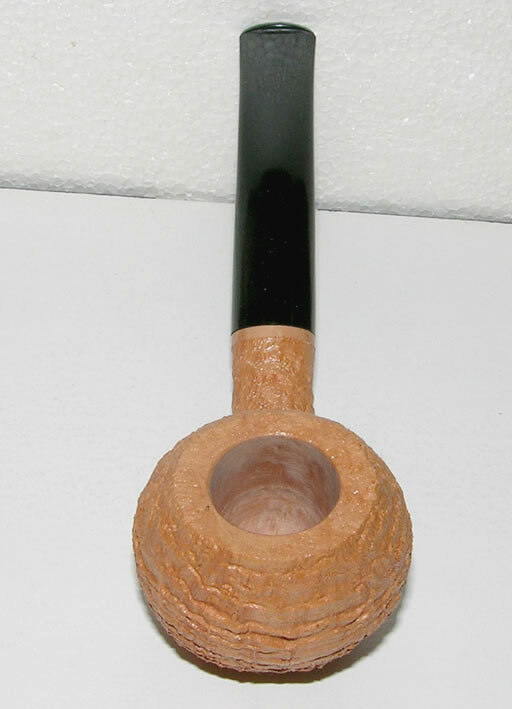 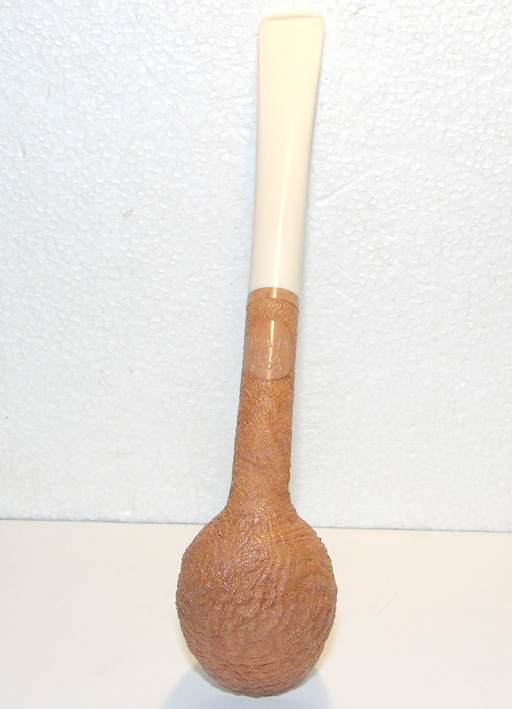 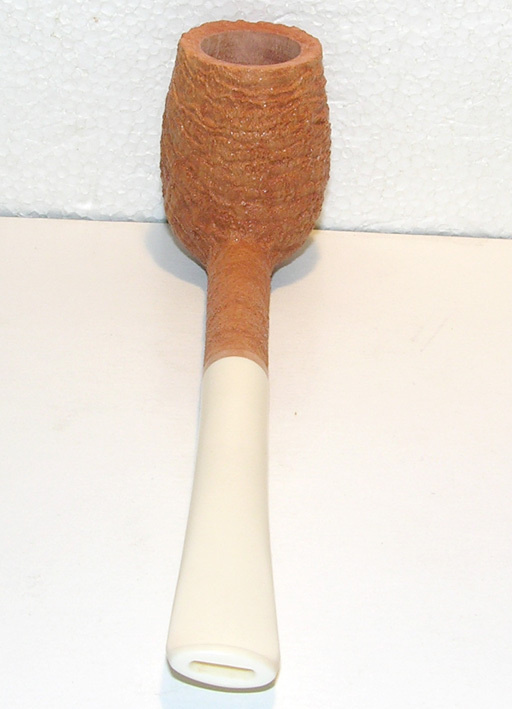 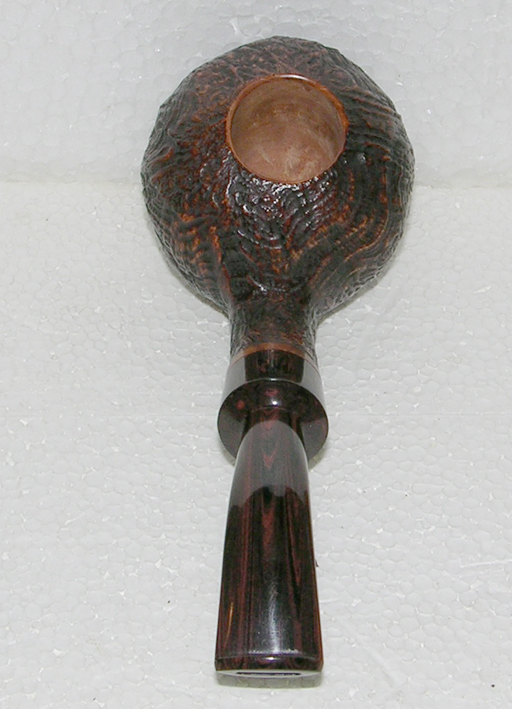 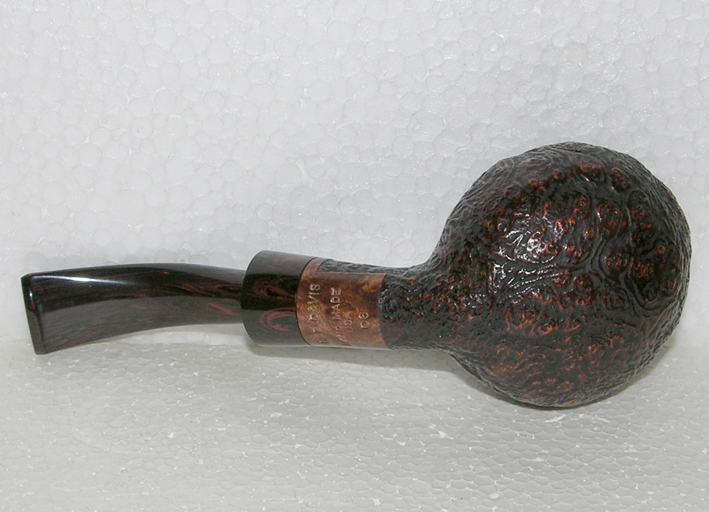 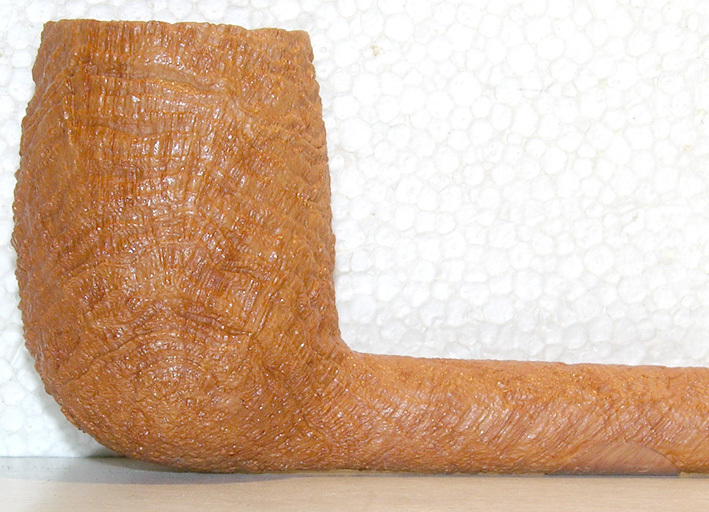 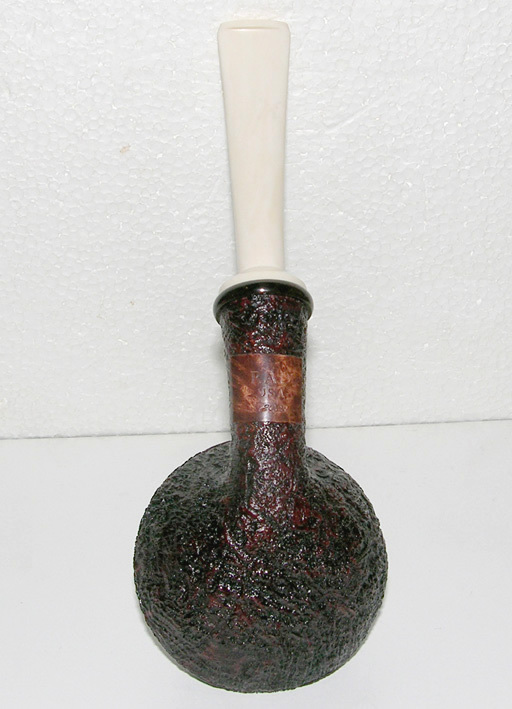 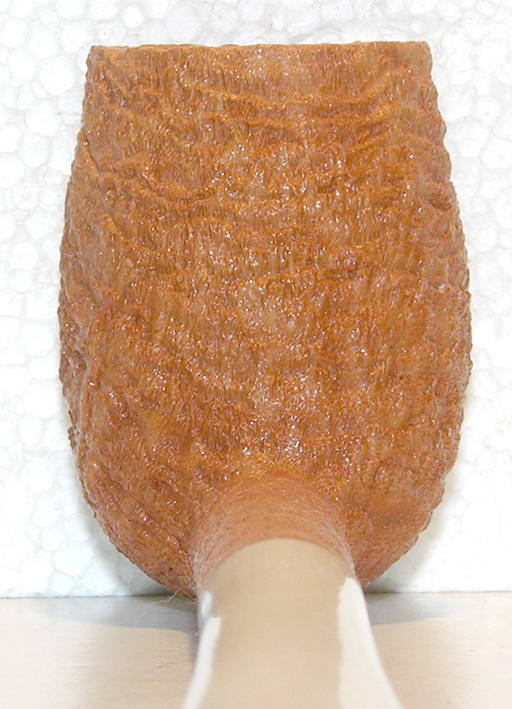 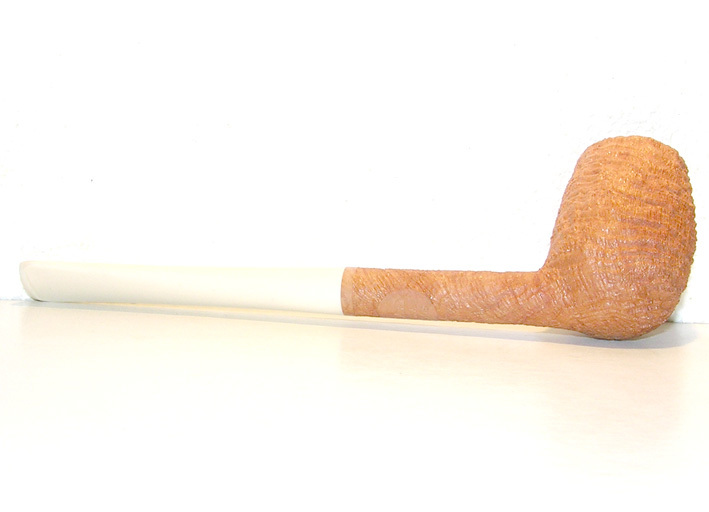 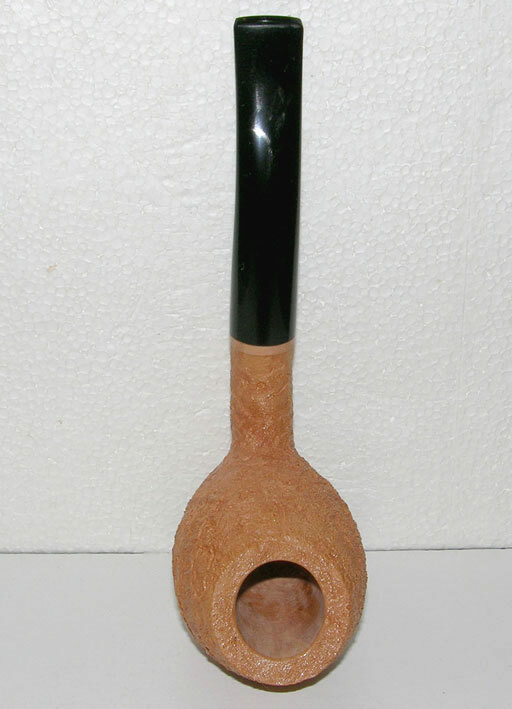 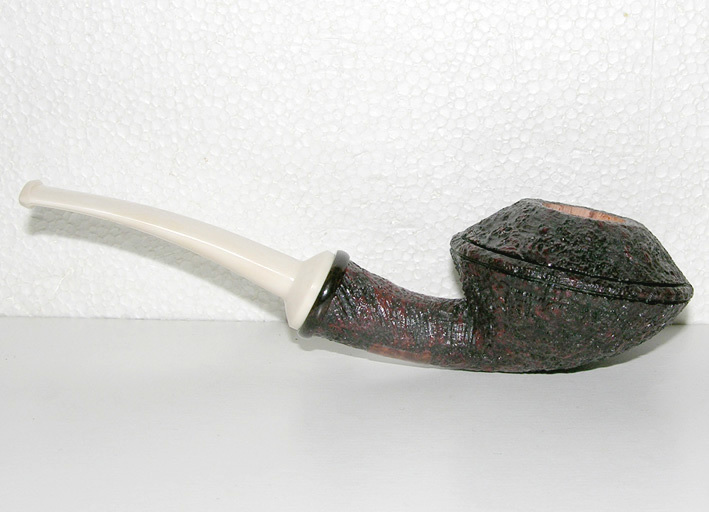 The blast is a mix of texturous straight and tight ringgrain, with large birdseye on the heel of the pipe. 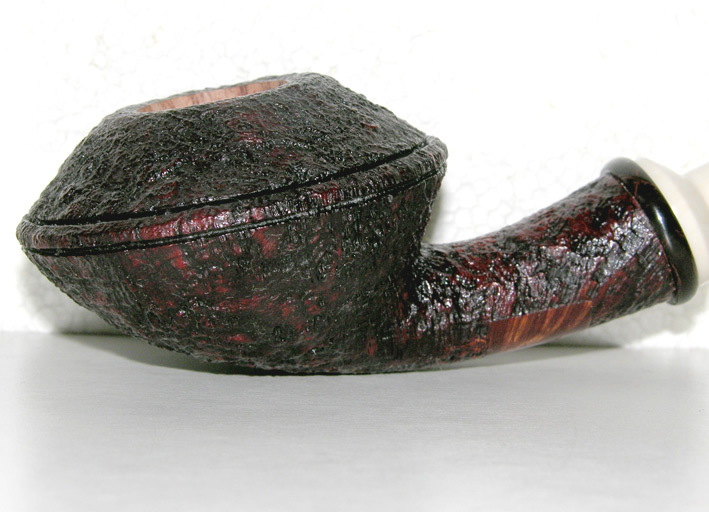 The capacity is small, the walls are super-thick and the balance is spot-on. 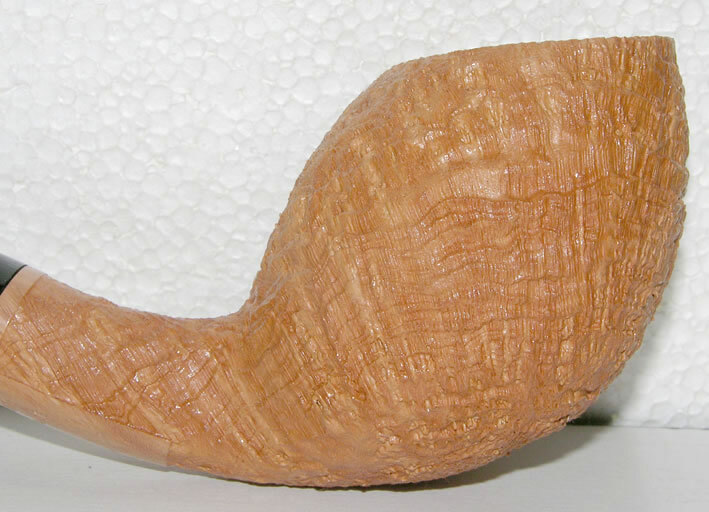 This one should be quite fun to smoke! 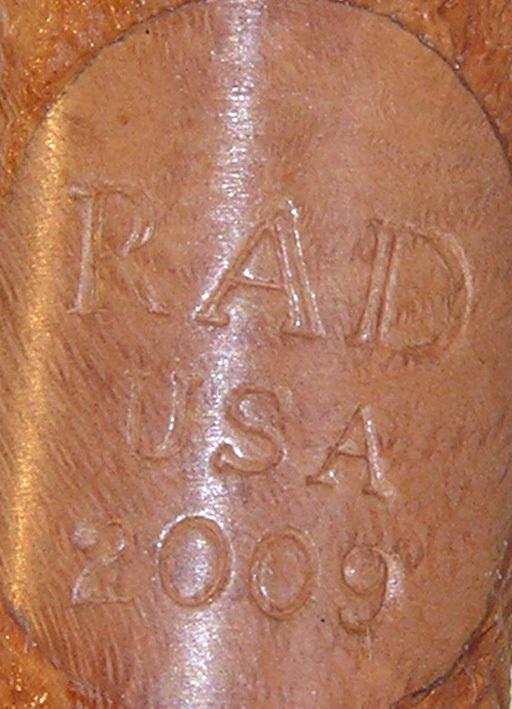 Markings read: RAD DAVIS, HAND MADE, USA, 06. 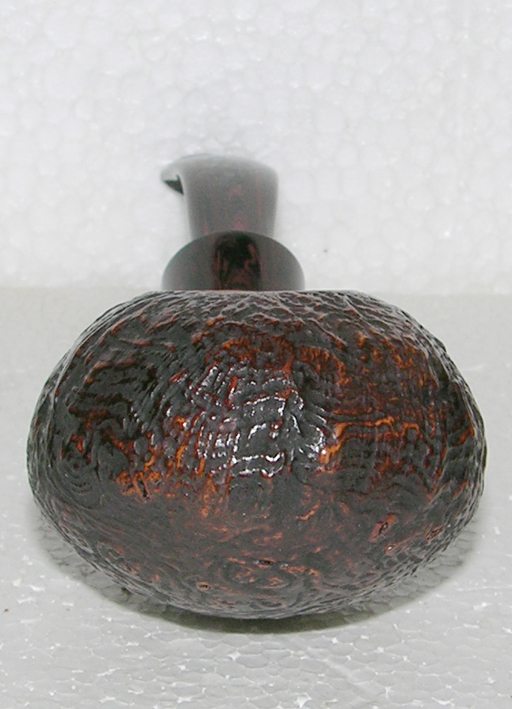 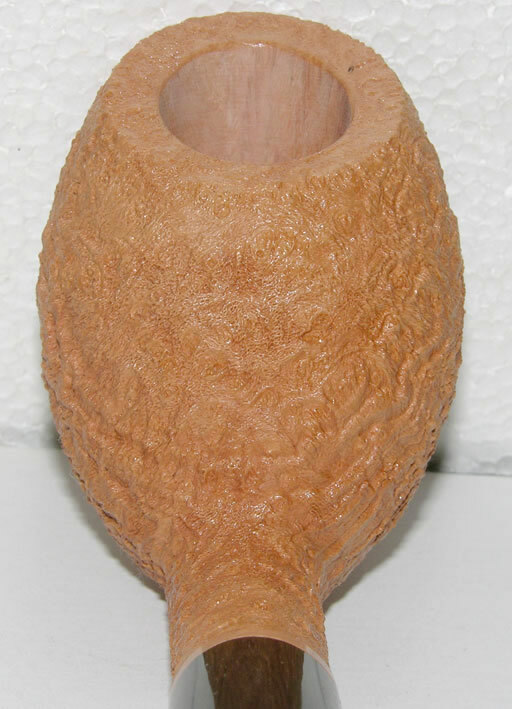 Measurements: 5" long, bowl is almost 2" wide and 1 3/8" tall. 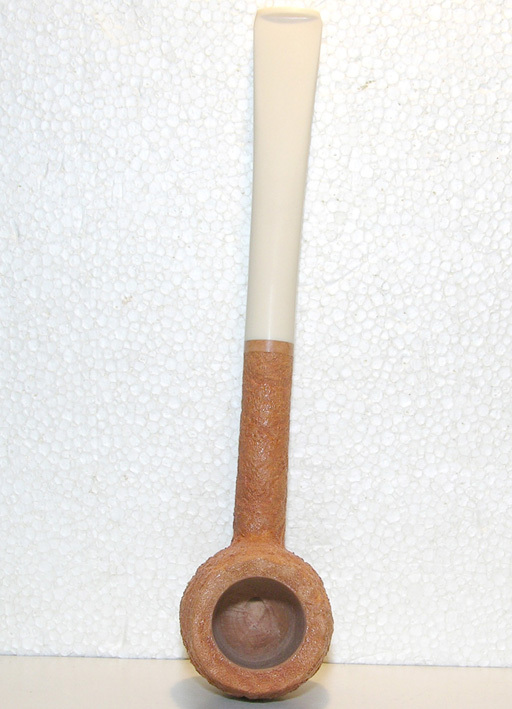 The pipe weighs 45 grams. 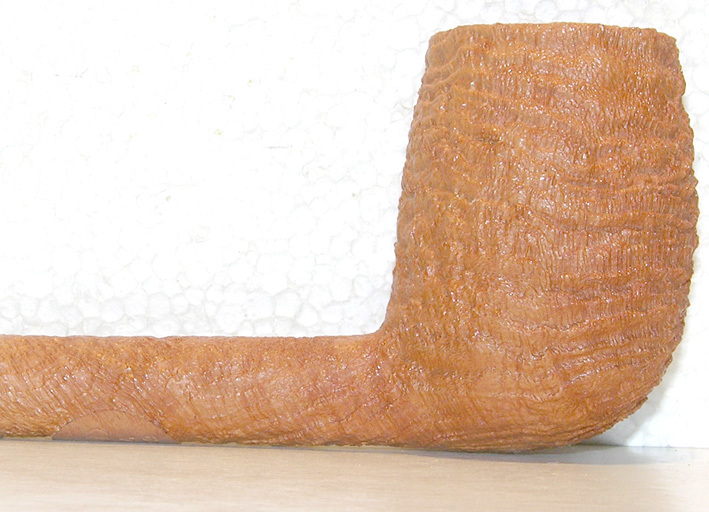 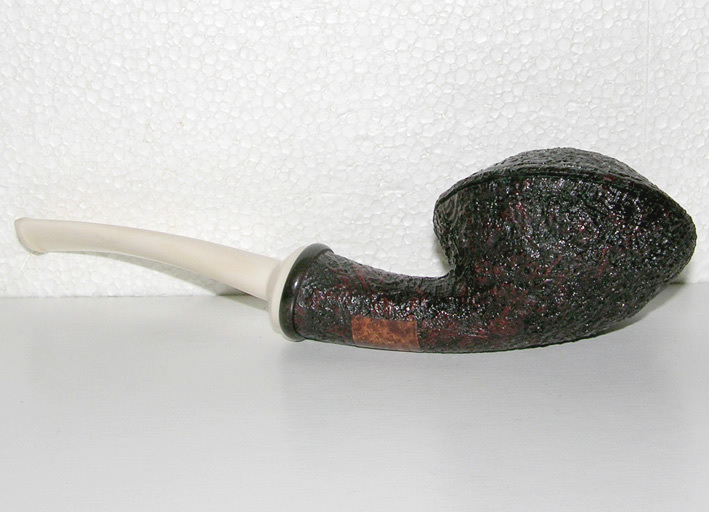 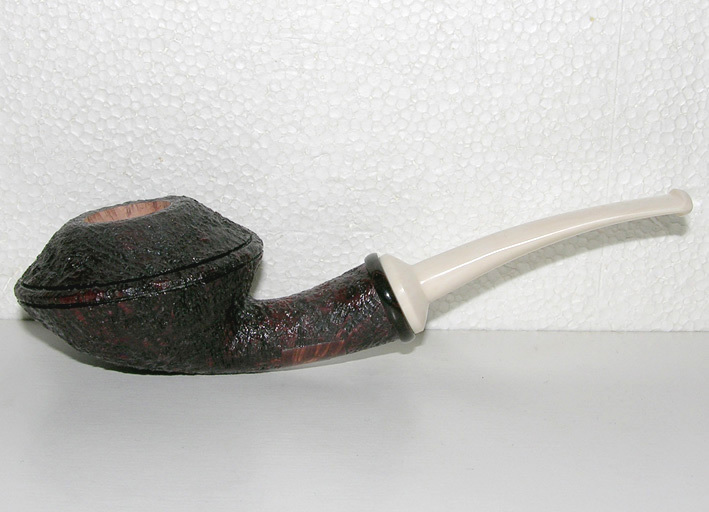 About a Dunhill smaller group 3 in capacity. 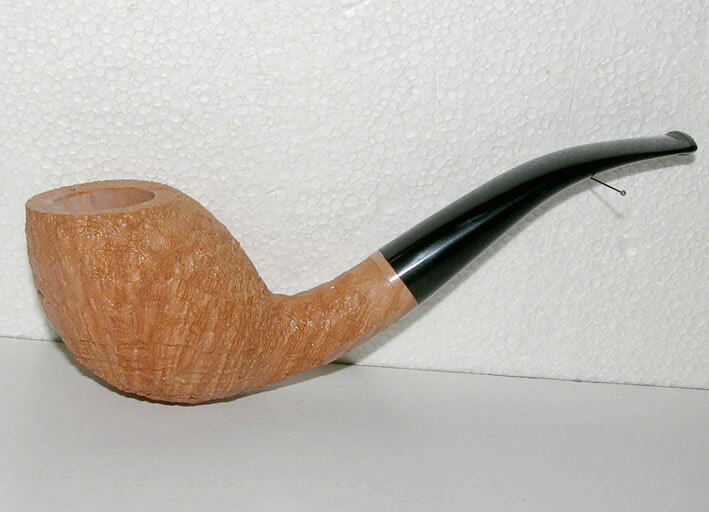 Cette belle pipe a été achetée sur le site de Rad. 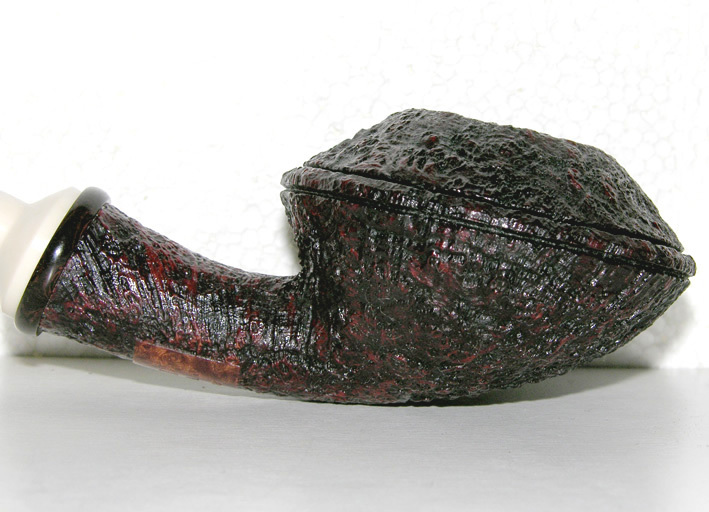 Une exclusivité de Rad, le tuyau en tuskanite.